The ongoing conflict in Kachin State and last year’s deadly clashes in Arakan State have cast a harsh light on one of the greatest challenges facing Burma as its moves toward reform: the need for ethnic harmony. “Burma needs not only democracy but also ethnic rights,” says Kyaw Kyaw, a commander of the All Burma Students’ Democratic Front-Northern Burma (ABSDF-NB), an ally of the Kachin Independence Army (KIA), speaking from the KIA headquarters in Laiza. “’Democracy and ethnic rights must go side by side. Democracy cannot live without ethnic harmony,” adds the former student activist, recalling an ABSDF slogan from the 1990s, when the group allied itself with various ethnic armies after fleeing the crackdown on nationwide pro-democracy protests in 1988. In fact, this was not only a slogan of the ABSDF, but also of all the groups belonging to the Democratic Alliance of Burma (DAB), formed in Manerplaw, the former headquarters of the Karen National Union. It brought together not only the KNU and the KIA, but also political organizations and ethnic armies representing Burma’s Mon, Karenni, Shan, Pa-o, Palong, Lahu, Wa, Chin and Arakanese minorities. However, the DAB, which had called for a tripartite dialogue between the then ruling junta, democratic opposition leader Aung San Suu Kyi and ethnic minorities, suffered a setback in 1994 when the KIA signed a ceasefire agreement with the Burmese army without the approval of other members. The New Mon State Party and some other groups later followed the KIA’s example in making deals with the regime, but the KNU, the Karenni National Progressive Party and the Shan State Army-South continued to fight until last year, when they signed agreements following Suu Kyi’s historic electoral victory in by-elections last May. Now the KIA stands alone again, this time as the only major ethnic armed groups that is still fighting the Burmese army. For people living in Rangoon, Mandalay or Naypyidaw, it can be difficult to understand the importance of “ethnic rights,” or even what this term means. But if you visit ethnic areas, particularly those under the control of ethnic armed groups, you will readily understand why they feel a need to fight against the Burmese army, more that 60 years after Burma achieved its independence. Few of these places, however, are accessible to foreigners or even Burmese holding foreign passports. And for ordinary Burmese to venture into any of these areas is to risk arrest and imprisonment under Article 17/1 of the Unlawful Associations Act, which prohibits contact with organizations deemed to be threat to state security. Although most rebel groups have signed ceasefire agreements since reforms began in 2011, this law remains in force, ensuring that most Burmese will never risk communicating with ethnic armed groups or even people living within their territories. This is deeply unfortunate, as it prevents people from Burma’s cities from ever gaining an understanding of why ethnic rights mean so much to many of their fellow citizens. If we look back at Burma’s history, we can see that the country would never have become independent without the common assent of the Burman majority and the ethnic minorities. It was the Panglong Agreement, signed by Gen Aung San and leaders of the Shan, Kachin and Chin peoples on Feb. 12, 1947 (and commemorated on that day every year as Burma’s Union Day) that paved the way for independence the following year. Who Cares about Ethnic Rights? After Suu Kyi’s National League for Democracy (NLD) joined the army-dominated Parliament last year, many people felt that Burma had finally won some democratic rights. But despite this, and despite the presence in Parliament of ethnic minority parties that contested in the 2010 election, it is still far from clear if the democratic rights of ethnic minorities are adequately represented in Burma. Indeed, the issue of ethnic rights does not appear to be high on anybody’s agenda in Naypyidaw, despite the events of last year. Suu Kyi has been notably silent on this issue, confining her comments on the Kachin conflict, for instance, to calls for both sides to stop fighting. Traditionally, people in urban areas, including politicians, are reluctant to talk about ethnic rights. They are especially wary of discussing federalism—something close to the hearts of Burma’s ethnic minorities. 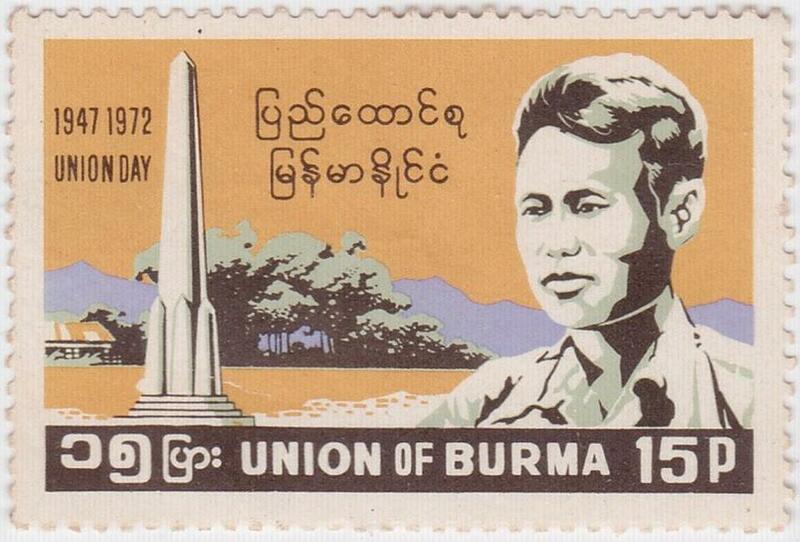 After half a century of military rule, federalism is seen by many Burmese as a veiled attempt to divide the country. There are some, however, who have tried to tackle the ethnic issue head on. Recently, the 88 Generation Students group sent a delegation to the KIA stronghold of Laiza to assess the situation there. They also offered to help the government negotiate an end to the conflict, but have so far received no response from Naypyidaw. The government, it seems, is only interested in moving forward with its own negotiating team, led by President’s Office Minister Aung Min. But even as Aung Min calls for talks, the Burmese army continues shelling KIA positions near Laiza, casting doubt on the sincerity of the government’s desire for a negotiated end to the conflict. What about the international community? Does it care about the aspirations of Burma’s ethnic minorities? So far, most foreign governments and organizations seem more interested in keeping up the momentum of political and economic reforms, and have paid little attention to the core demands of minorities. Some have expressed concern about the conflict in Kachin State, but few recognize the underlying causes of the unrest. All of this bodes ill for Burma’s prospects of reform. Until all stakeholders start working together to achieve meaningful progress in restoring ethnic harmony, the chances of achieving lasting peace and prosperity will be very slim. Htet Aung Kyaw is a former student activist who fled to ethnic rebel-controlled areas in 1988. He is now a freelance journalist and writer in exile.